The economic growth model is like a cult that is fetishized by governments’ as if it were a religion. With the aid of mass advertising campaigns, the latest consumption-profit driven craze involves attempts by giant corporations to persuade the British people to purchase new cars, on credit, at ever increasing rates. The moment these cars leave the showroom they depreciate in value by at least a third. This means that the buyer is in a position where he/she has to service the debt of a rapidly depreciating commodity. In other words, advertisers in a deregulated market, overseen by a Tory government, are encouraging people to spend on depreciating luxury goods like cars they don’t need with money they haven’t got. As a consequence people whose incomes have largely remained static for a decade or more, are being saddled with unsustainable debts similar in principle to conditions that led to a housing bubble which crashed and caused the 2008 financial crisis. More cars on the roads is also bad for the environment. Pollution levels in London, have breached annual limits just five days into 2017 and often exceed the regulatory amounts recommended by the European Union. Meanwhile, the elderly are shoved in hospital corridors for hours on end because of government under funding in the NHS and when they are due to leave hospital, there is increasingly unlikely to be any social care provision in place for them to go to. But that’s alright, just as as long as the growth the rich disproportionately benefit from continues to increase, the ‘low-lying fruit’ can wither away and die because there are too many ‘useless mouths’ to feed anyway. The notion that a government strategy of cheque book euthanasia in a society where robots will soon replace the few remaining blue collar jobs that exist, is far from a dystopian fantasy. The kind of nightmarish scenarios described above are symptoms of an irrational profit-driven system predicated on the Tory governments obsession with a neoliberal economic growth model focused primarily on banking. 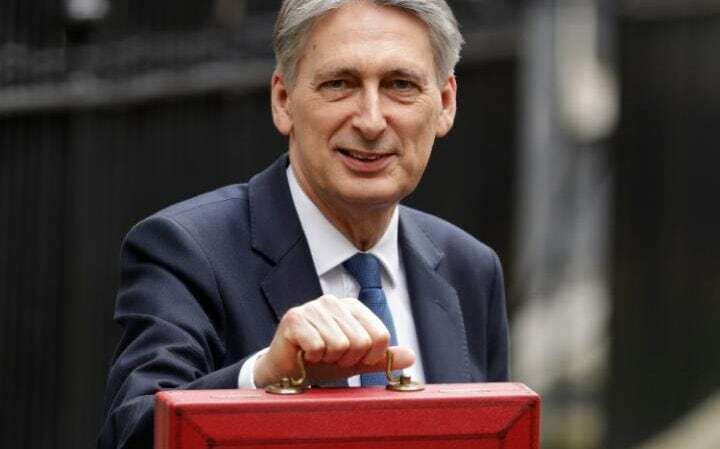 Chancellor Philip Hammond’s first budget which George Galloway described on twitter as “the most complacent out of touch other-worldly I’ve heard in nearly 50 years”, will result in more preventable deaths. The lie in which the masses were encouraged to believe that wealth trickles down, as opposed to gushing upwards, should finally be laid to rest by Hammond’s budget. The reason for the continued upward flow of wealth is due to the fact that the public sector is being continually squeezed to the point that it can be squeezed no more, meaning that the road to serfdom will become an increasing reality for many. All the baloney from May about the Tories being the party of the people and the so-called ‘just about managing’ (jams), has, over the last few days, been finally blown into the dustbin of history. If ever proof were needed that the primary function of tax revenue collection is the syphoning of large amounts of cash into the already bulging pockets of those who don’t need it, while the poorest are left on the shelf, then Hammond’s budget was it. The Chancellor’s £70bn tax giveaway to those on the top of the pyramid is contrasted with the £2bn national insurance hike he has lumbered low and middle income earners with. What the Independent described as “Hammond’s tax-raid on the gig economy,” not only cements the Tories reputation as the ‘nasty party’, but what can only be described as the Chancellor’s sociopathic behaviour towards the poor, even outdoes the callousness of his predecessor who, in May 2015, reduced the top rate of tax on the same day as introducing the pernicious bedroom tax which resulted in the widespread social cleansing of working class communities. It’s almost hard to keep up with Tory shenanigans – from the largely unreported election fraud scandal and Hammond’s unwillingness to reveal his tax returns, through to May’s repeated lies to parliament – it seems that barely a day goes by without some scandal or other entering the public domain. Many of the people Hammond is targeting are the increasing amount of workers on zero hours contracts who have no in-work protections of any kind. Hammond is not planning to include in his “spreadsheet” an increase in spending in order to address any of these issues, nor to raise spending on social care and the NHS comparable to other major European economies despite the fact that both are in a state of emergency. Instead, the Tories have once again demonstrated that what motivates them is their preoccupation with augmenting the interests of their class. The Tories are clear where their priorities lie. The question is, will a sufficient amount of working class Tory voters shift their support towards a Labour leader who has their best interests at heart at the next General Election? The rigging of the economy by the Tories that has resulted in six million people earning less than the living wage, and where nearly four million children are in poverty, will get worse as long as this bunch of lying crooks remain in power. Much of the media present the economic policies of the Tories as being somehow inevitable. But of course they are predicated on choice. Their priority is not for a fairer and more inclusive society, but one ridden with hate and division. The poor are to be kept firmly in their place while the rich, including the banking cartels, continue getting richer on the backs of them. Tory economic policies are geared specifically towards facilitating this transfer of wealth which was what QE was all about. In recent years this has probably been no more evident than under the leadership of Cameron and his Chancellor, Osborne. One of the biggest controversies to have arisen during the Cameron-Osborne era was the former’s offer to China of generous tax breaks to encourage their firms to re-locate to a new property development in Manchester. The same incentives are not, of course, applicable to small British businesses as Hammond’s budget confirms. Meanwhile, Willem Buiter, chief economist at CitiBank, predicts a hard landing for the global economy that looks set to push the world back into crisis. In the summer of 2015, the Shanghai stock market crashed by 40 per cent within two months, erasing $7 trillion dollars in company valuations in China. The risk is that the countries slow down will drag the rest of the emerging world with it. The International Monetary Fund (IMF) has estimated that every one percentage point drop in Chinese GDP growth, will wipe 0.3 percentage points from states’ in south east Asia. As emerging markets power 70 per cent of global growth, if China sneezes the rest of the world will almost certainly catch a cold. The problems do little to ally the lack of public confidence in the ability of the UK banking sector to self-regulate itself in order to ameliorate any unease. As inferred above, this is all part of a mutually reciprocal corrupt culture in which highly controversial big business practices and government policy have become increasingly intertwined. Finding bankers guilty of misdeeds in Britain is particularly difficult given the labyrinthine nature of banking in this country. Rather like the structure of the Mafia, the trail of criminality is almost impossible to pin down to specific individuals. This has been exacerbated by the Tory government which back-tracked on its ‘guilty until proven innocent’ rule – regulations that were supposedly intended to bring unscrupulous bankers to account. This stipulation was to be the financial regulators most powerful tool in putting senior bankers on the hook for serious wrongdoing, and was a response to the public’s fury that almost no individuals within the banking sector have been seriously punished for a crisis ordinary working people are paying for by way of austerity. The shift in government policy was prompted by concerted lobbying by some of the top foreign banks who threatened to withdraw from Britain if their demands were not attended to. But instead of calling their bluff, the government caved in. Iceland is one country where a rather different and radical approach has been undertaken in response to the criminality of their bankers. In two separate rulings, the Supreme Court of Iceland, sentenced twenty six top bankers and CEOs to prison for a total of 74 years in relation to financial crimes committed in the lead up to the banking crisis of 2008. Meanwhile, in Britain not a single banker has been arrested, charged or sentenced. Instead, they are given untold amounts of public money which they use to award themselves with huge bonuses. If you happen to be a criminal British banker, then crime really does pay. The scandal is that it’s the 99 per cent who have to pick up the pieces resulting from this criminality. The message that emerged from Hammond’s budget was that corporate criminality can be tolerated just as long as it’s the poor who continue to suffer.